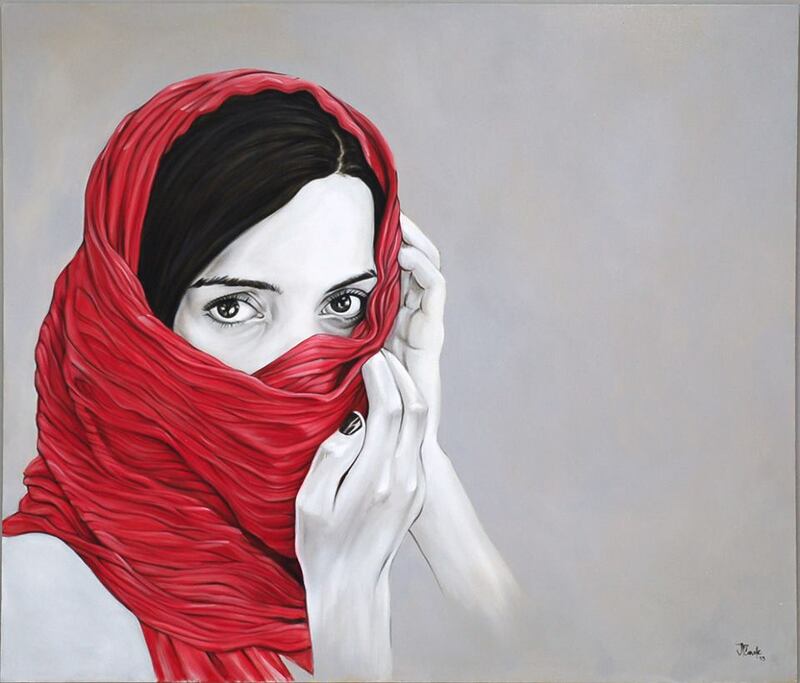 The Mona Youssef – Leonardo Da Vinci Award – The prestigious award for the month for painter in the category of Realism art. This award will be presented to the artist who continues to show high standard of work, develop his / her own style and master of their skills in the chosen medium and technique, thereby become an inspiration to our future generation of new emerging artists. I am honoured to be in a position to add yet another award to our list that will be presented to Globalization ICAS members participating in our monthly theme exhibitions. We are fortunate to have Internationally renowned artist’s Mona Youssef as a member of GICAS, who has been with us from the beginning. Over the past year Mona has been an active member of our organisation as one of the juror on the panel adding valuable constructive comments and completing her task by scoring each entry for our monthly theme exhibitions. Recently in an exhibition at Chianciano Art Museum Binnale Italy July 2013, Europe Mona was presented with Leonardo Award from over 500 artworks entries covering 30 Nations for her realism painting title: “Heart of Winter”. I am delighted to choose the appropriate time to announce our NEW prestigious award that will serve as two fold reminder to all who are presented with this award. It gives me great pleasure to confirm our first of many Mona Youssef – Leonardo Da Vinci Award for excellence was presented to J.P. CANALE painting title: “The Portrait” for the theme Figurative October 2013. 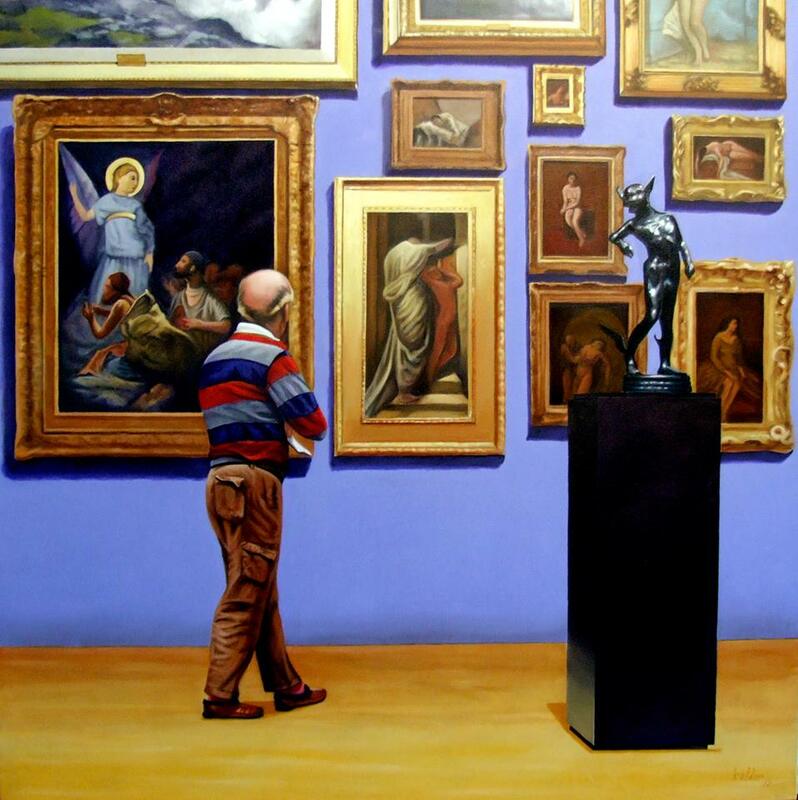 STEPHEN KALDOR painting title: “The Connoisseur” for the theme “Transitions / New Works” DECEMBER 2013. Excellent interviewer wonderful interviewee done!